Despite being called the “Gentlemen’s Game”, controversies have become a part of cricket over the years. Match-fixing scandals have plagued the game since the infamous scandal of 2000 where former India and South Africa captains Mohammed Azharrudin and Hansie Cronje were involved in fixing matches during South Africa’s tour of India. Since then, the number of match-fixing scandals have unfortunately increased. Along with this, there have been a host of other controversies to have beleaguered the game of cricket and a number of cricketers who have been involved in these time and again. This list included those cricketers who could not keep controversies out of their career and have been constantly involved in some controversy or the other. One of the most decorated South African batsmen of all time has been involved in a lot of controversies throughout his career. He was involved in the infamous match-fixing scandal of 2001 where the then captain Hansie Cronje who was the mastermind behind the plan had offered Gibbs a sum of money to score a low score in one of the ODIs against India due to which he was banned for 6 months and refused to tour India until 2006. He was also caught smoking marijuana with other teammates during South Africa’s tour of West Indies in 2001. He was also admitted into rehabilitation due to his alcohol addiction during his career. Gibbs played 248 ODIs and 90 Tests for South Africa in a career which spanned over 13 years. One of the most captivating cricketers of all time, Kevin Pietersen was involved in a fair share of controversies. 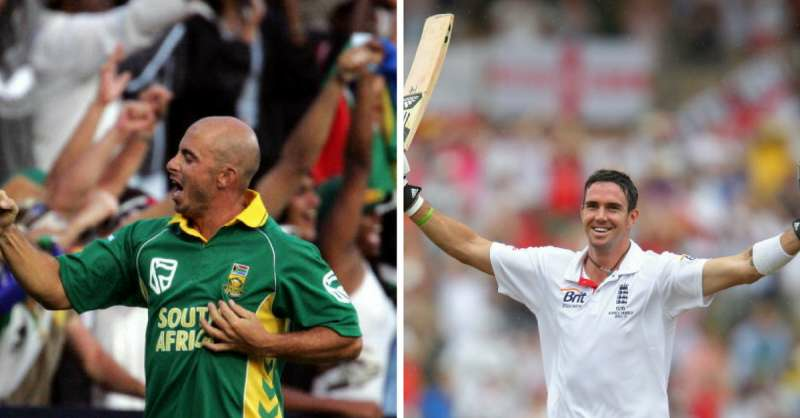 Expressing his anger on Twitter by using swear words, making derogatory remarks against former cricketer Nick Knight or having a fallout with coach Peter Moores – Pietersen has come under the screw multiple times after expressing his views. He retired from the game in 2012 following a dispute with England Cricket Board. Although he retracted his retirement soon after, his relationship with the ECB and teammates took a turn for the worse, and he has not featured for England since then.